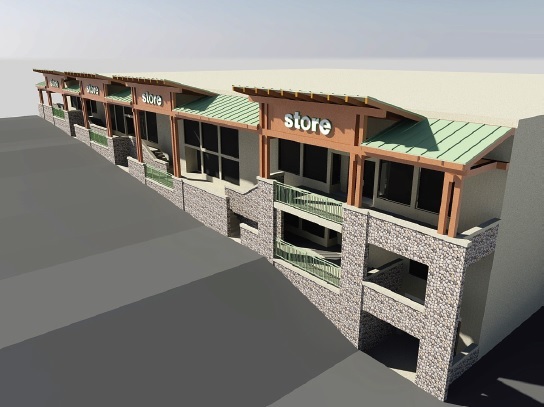 Blue Jay Investors LLC commissioned GKA Architects for the major renovation of their two-building, 50,000sf shopping center located in the Southern California mountain community of Blue Jay Village. 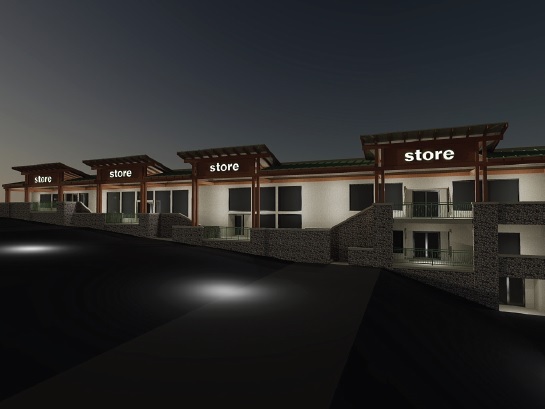 GKA retained consulting architect Musolino Architecture, who served as project designer. 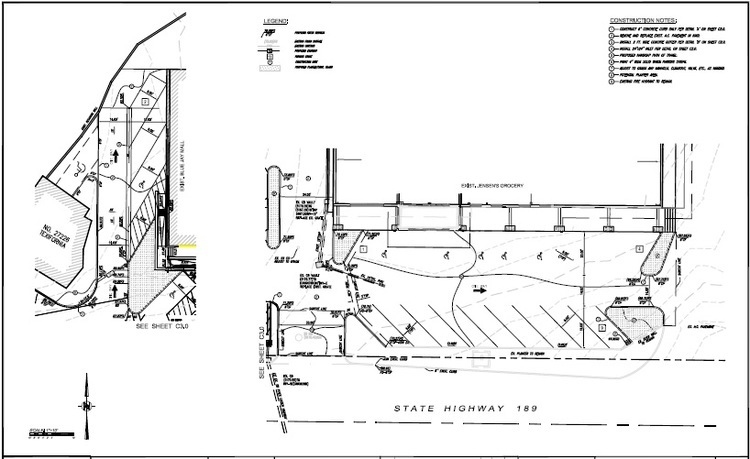 GKA also retained and coordinated the entire engineering team, including the structural engineer, Critical Structures Inc , the civil engineer HMK Engineering, and the M/E/P engineer Budlong and Associates. 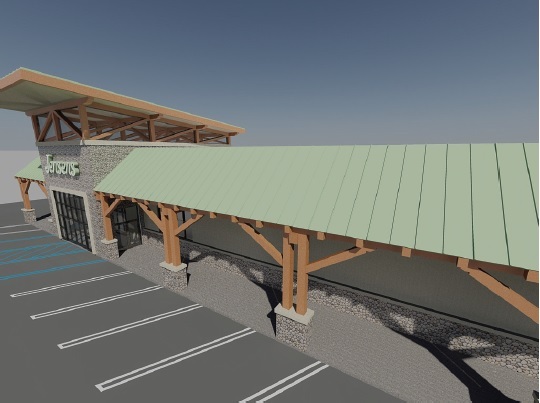 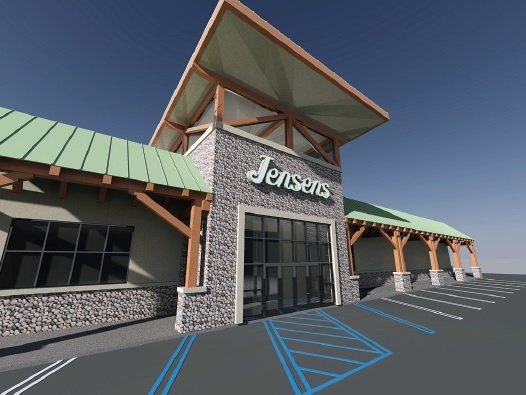 The project includes the complete removal and redesign of the facades of both buildings, including a new two-story clerestory-roof atrium entry for the anchor tenant, a regional supermarket chain. 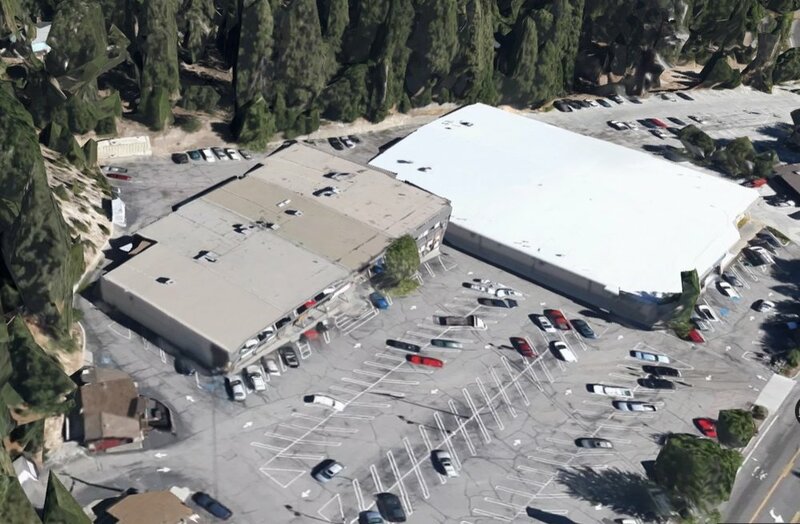 The project's steeply sloped, complex site - which rises two stories along the 180ft width of the multi-tenant building - poses considerable design challenges for the accessible parking configuration and path of travel. 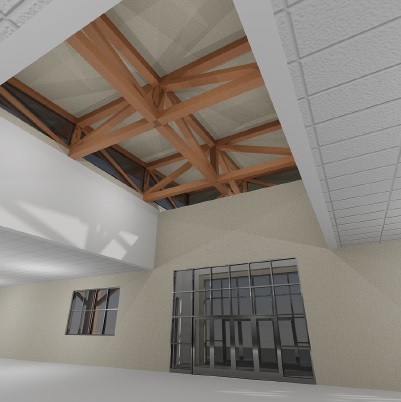 The design utilizes mountain-lodge heavy timber language both for contextual aesthetics, and to meet California's strict Wildland-Urban Interface building and fire code requirements for the region.